EX-LEEDS UNITED head coach David Hockaday has been appointed as the new Professional Development coach at Coventry City for the rest of the season. 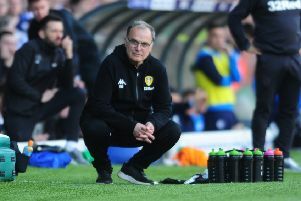 Hockaday was famously sacked after just 70 days at the Leeds helm at the end of August, after winning just two of his six matches in charge at Elland Road. The north-easterner, the left-field choice to replace Brian McDermott in the summer, returned to football in November, taking up an advisory role with Southern Division One South and West outfit Swindon Supermarine. Hockaday had been keen to return to the Football League and has now joined the Sky Blues, having previously coached at Watford, Milton Keynes Dons and Southampton before moving into management at Conference side Forest Green Rovers - before heading to Leeds as head coach in June. On the appointment of Hockaday, Coventry chief executive Steve Waggott said: “This is a pivotal role within the club and we are delighted to have Dave on board. Sky Blues manager Steven Pressley said: “I’m delighted to welcome Dave to the football club and looking forward to working alongside him.